After all, the operators of this Ltd. 100 GBP (!) raised to start their "company". I do not argue with stupid and primitive people like you! This is my time too bad! Again someone who does not name his name, but hides behind three letters, so anonymous acts! In addition, the domain is only four months old. 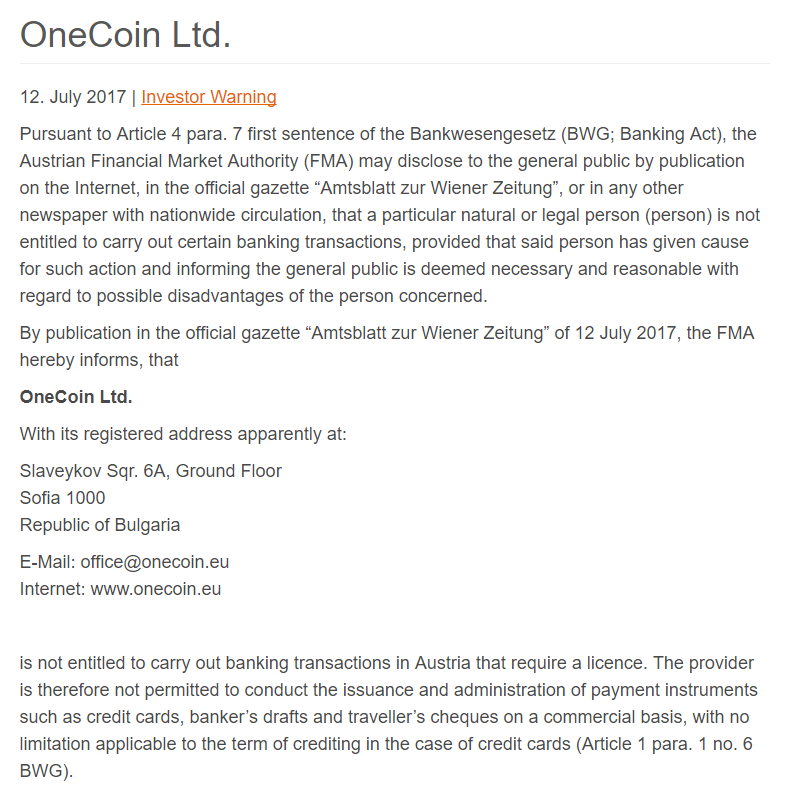 On the German-speaking side https://www.fma.gv.at/onecoin-ltd/ this warning was updated on February 26, 2018 and confirmed. She is now legally! What has Dr. Ruja announced in October 2016 in Bangkok? Which year may she have meant? 2020? 2030? 2040?